The supplies for this one are easy, just aluminum and something to grind it in. 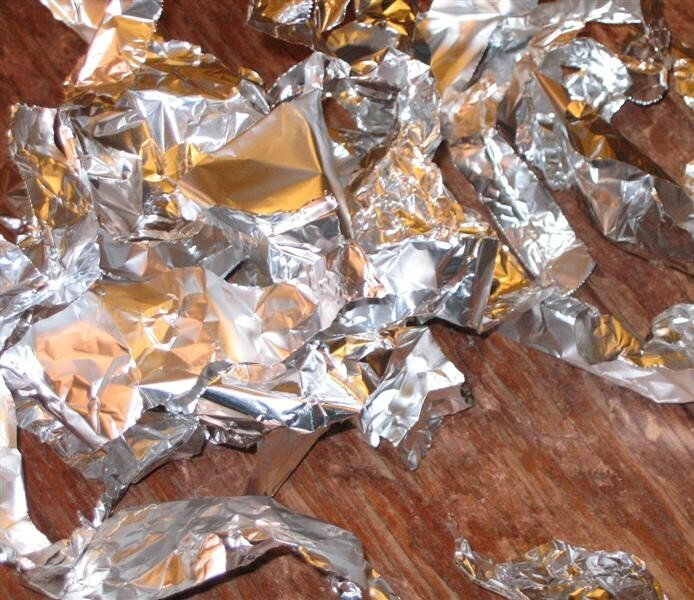 The most common source of aluminum is foil, but this isn’t always the cheapest. Other sources include drink cans, aluminum pots and pans or even heat syncs off of computers; it doesn’t really matter what alloy of aluminum. If you’re out of ideas, try taking a trip to the dump. The blender is usually more expensive and difficult to find. Whether you use a two-hundred dollar blender or a ten-dollar coffee grinder, it doesn’t really matter. Keep in mind that you get what you paid for and you will have to be a lot nicer to a cheaper blender and it will probably break sooner. There are alternatives to a blender like using a bench grinder or a fine grit power sander. Here are plans for one such alternative. The result from this may be finer or coarser and you should decide for yourself what works best. 1. No matter what size blender you got, the blades are usually small and you will have to make your aluminum fit. For foil, this means tearing it into ribbons, but for something thicker you will probably have to get out some tin snips. If the blades jam up, it puts stress on the joint and the motor-both of which will eventually break. Don’t take the chance and use small pieces of aluminum. Only use something thicker than an aluminum can if you’re very confident- foil isn’t expensive, but blenders are and replacing them gets old fast. 2. The longer you blend it, the finer the powder will be. You will need to continually add more, especially at the beginning, because the volume decreases and the powder won’t reach the bottom of the blades. A blender won’t ever give you particles smaller than that of fine sand. If you intend to use it for anything other than rough thermite then you will have to ball mill it. 3. Aluminum oxidizes on contact with oxygen and blending it uncovers new surfaces. When you open the lid, oxygen pours in, and if the powder oxidizes fast enough, then it will get hot enough to ignite. To avoid this, open the lid at least every ten to fifteen minutes. 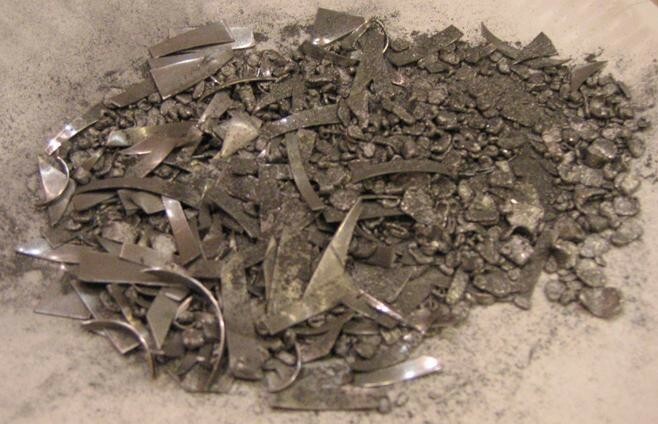 Make sure you mill your aluminum in a well-ventilates area and let the powder settle before you open the lid; aluminum is poisonous and breathing it in is not a good idea. 4. Store in a cool dry place; I personally suggest glass jars of some kind. If you are lazy, and or have the money for it, you can also buy aluminum powder at Skylighter, or on e-Bay. e-Bay will be cheaper, but you won’t always find powder of the same size or purity, also make sure that you’re buying from a trusted vendor. Also, here is an interesting video demonstration of thermite, and if you’re interested in trying a different type of thermite, try here. Thanks for visiting my blog earlier on. An answer to your question has been posted there. Regarding Al powder, in my experience you need more than just a blender. My own experiments with Al foil and blenders show that it’s possible to obtain a particulate that can be suitable for thermites but that can’t exactly be described as a ‘powder’. Good luck with your (new?) site! Yea, what I got from a blender wasn’t all that fine, I mainly made it for thermite and it worked great for that. I guess you would have to ball mill it to really get it fine. Thanks for the comment, I’ll be sure to correct my wording.